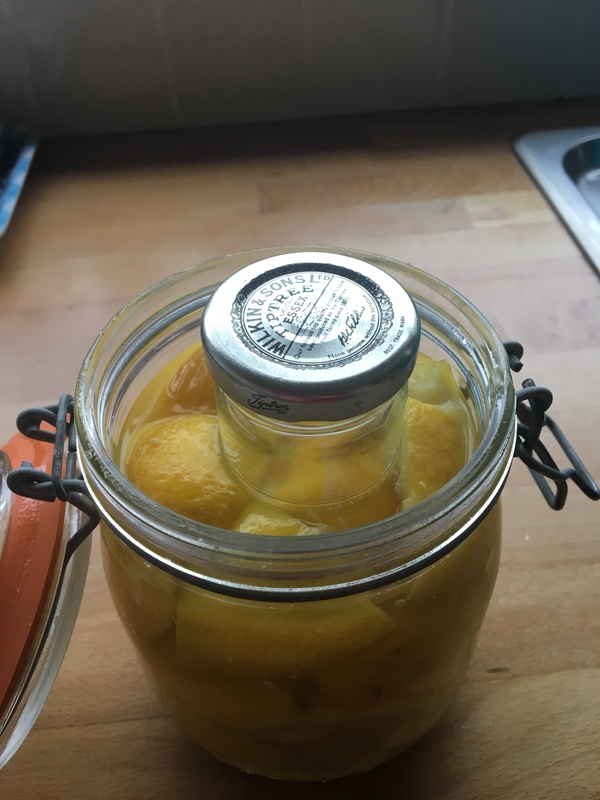 Since starting the preserved lemons earlier this week I came across a great idea for keeping them under the liquid (which, I should have said, is something you need to do). Some recipes say to squeeze some additional lemons and add that juice to the jar. But I’ve found that if you squash the lemons in the jar hard and far enough, they make enough juice to cover them But this clever ruse helps keep the bits at the top under the liquid level. Just take a tiny jam jar. I collect these from all sorts of places, but if you don’t have any, just ask at a local hotel or b and b – they often just throw the jars away. Such a waste! Place the clean empty jar on top of the lemons. Close the lid down and fasten the clip. You’ll see that this pushes the uppermost pieces under the liquid and keeps them there. Such a neat idea. Thanks zerowastechef! (you may find her blog really interesting and inspiring – I certainly do). 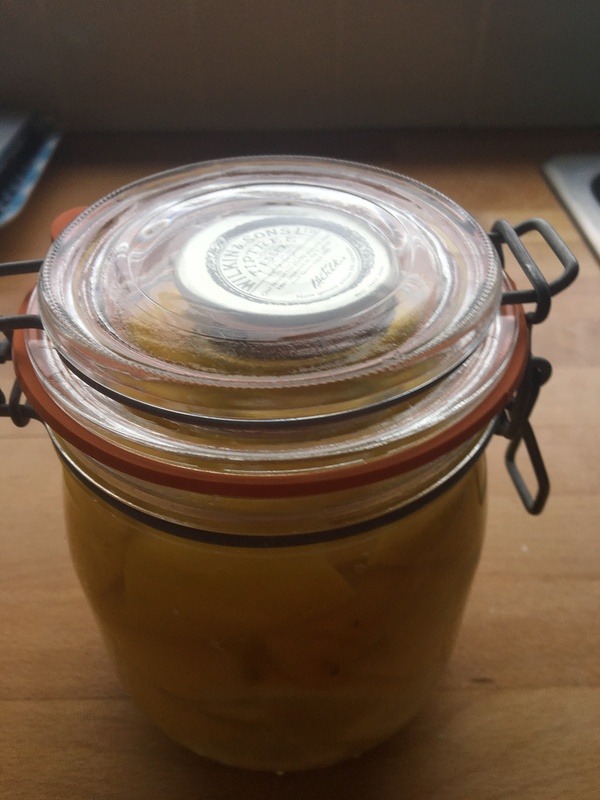 This entry was posted in Climate change, Food, Frugal, Local food, Uncategorized and tagged Food, Food preservation, Frugal food, preserved lemons, Simplicity, zerowastechef. Bookmark the permalink.